Shirts With Random Triangles: The Fallout: Chad Kelly, Tennessee, Art Briles, and more. 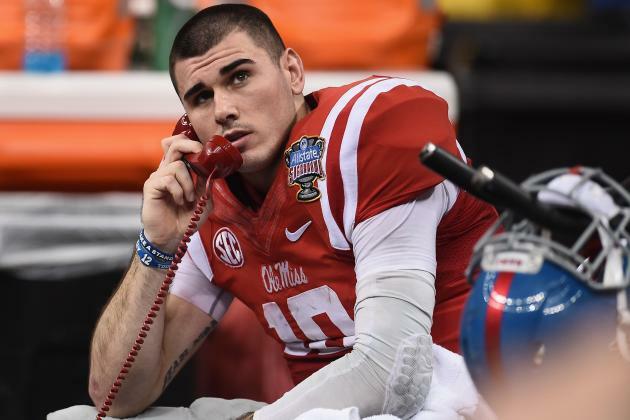 The Fallout: Chad Kelly, Tennessee, Art Briles, and more. Chad Kelly, Image via Bleacher Report. Best of the (SEC) West. Sportsradioknoxville.com's Charlie Burris accuses USA Today's Nancy Armour of "faux-outrage" after Armour's criticism of Tennessee canceling classes the day of its Sept. 1 2016 college football season opener against Appalachian State. Burris points out that "there are football coaches at Baylor covering up crimes to keep athletes eligible and you’re writing about Tennessee canceling classes?" Armour's reaction to Burris's criticism? She apparently blocked him on Twitter. Report: Briles, Baylor, strike a deal.